MULTIFUNCTIONAL COMPARTMENTS: Convenient front pocket and compartment fit quick access items like keys, card, ticket, passport, earphone, pens, charging cable, power pack and so on. The two main compartments offer spacious room for the luggage. 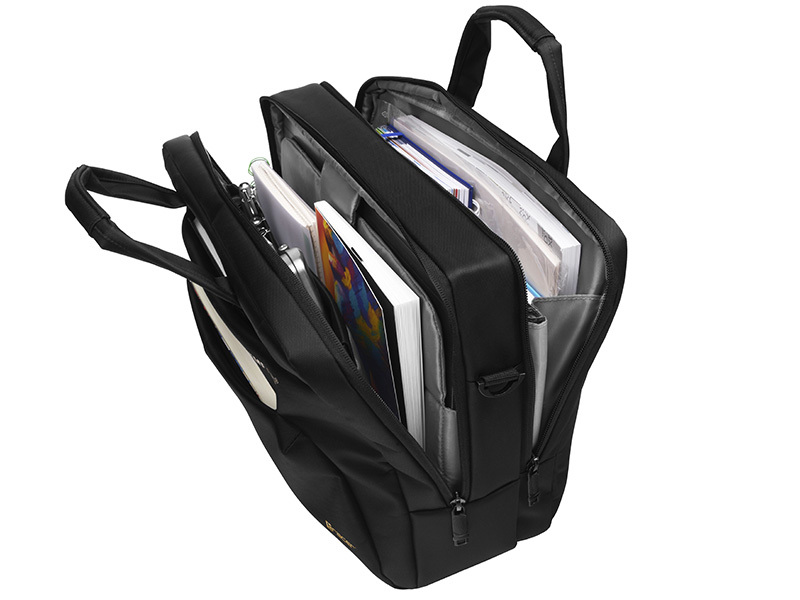 You can hold a 15,6" laptop, a cooling pad, two thick books, some A4 files, magazines, thin clothes or a coat at the same time. 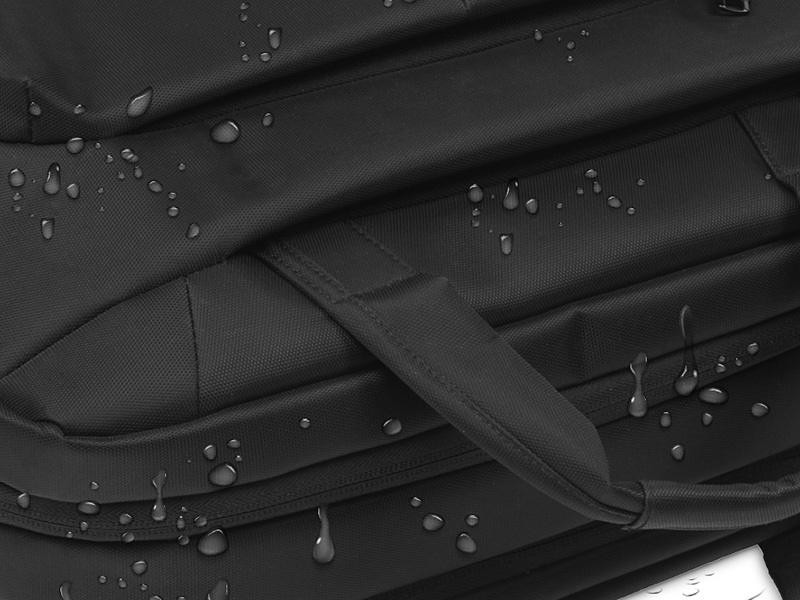 DURABLE QUALITY MATERIALS: Made of water-resistant and scratch-resistant polyester fabric, the laptop briefcase keep your laptop and valuable documents safe from light rain. The smooth metal zippers is durable enough for handy usage. 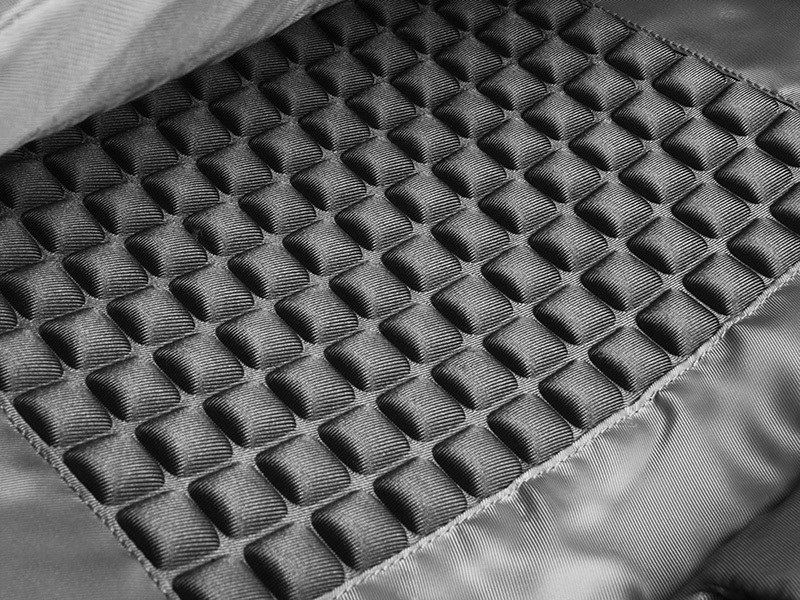 The main laptop sleeve compartment is reinforced with padded shockproof foam, offering better protection for your device. Comfortable grip-handle can reduce the friction during walking. 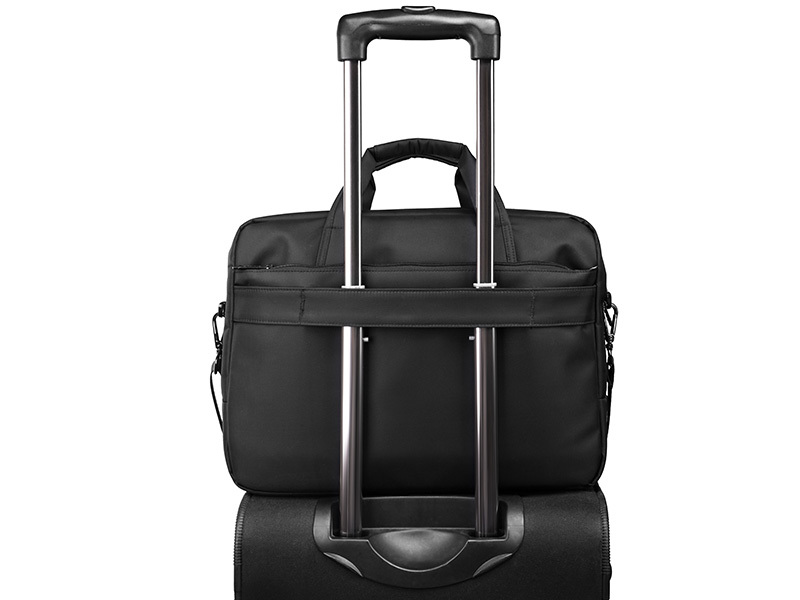 FREE YOUR HANDS: The back compartment comes with a luggage strap, allowing the briefcase to securely fit on the handle of a rolling suitcase - ease the burden in you journey. 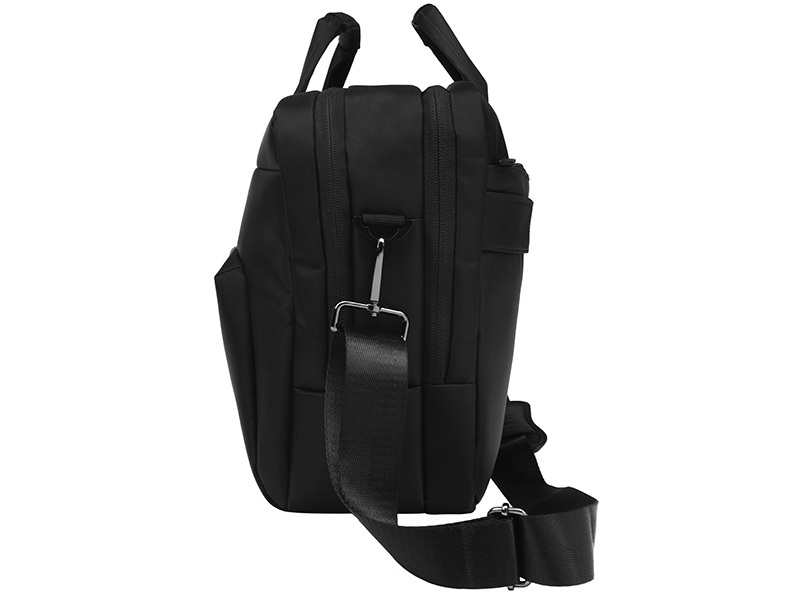 A detachable anti-slip shoulder strap can easily convert your briefcase to a shoulder bag or a messenger bag, while the padded pad can reduce the pressure of shoulder. WIDELY USED: With simple and elegant design, the shoulder bag is suitable for different ages people. 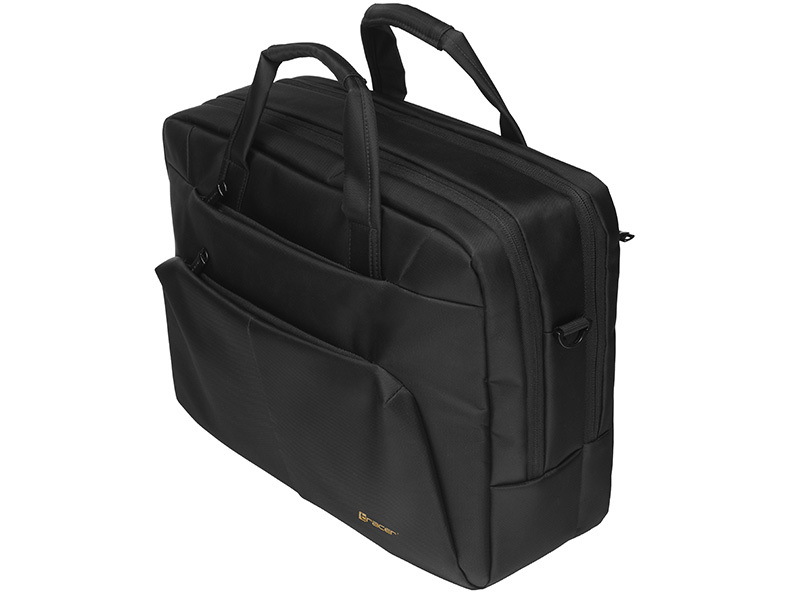 As a professional briefcase with full-featured functionality, it will be a perfect partner for most business men, business women, office mens, teacher, sales, lawyer, designer and so on. 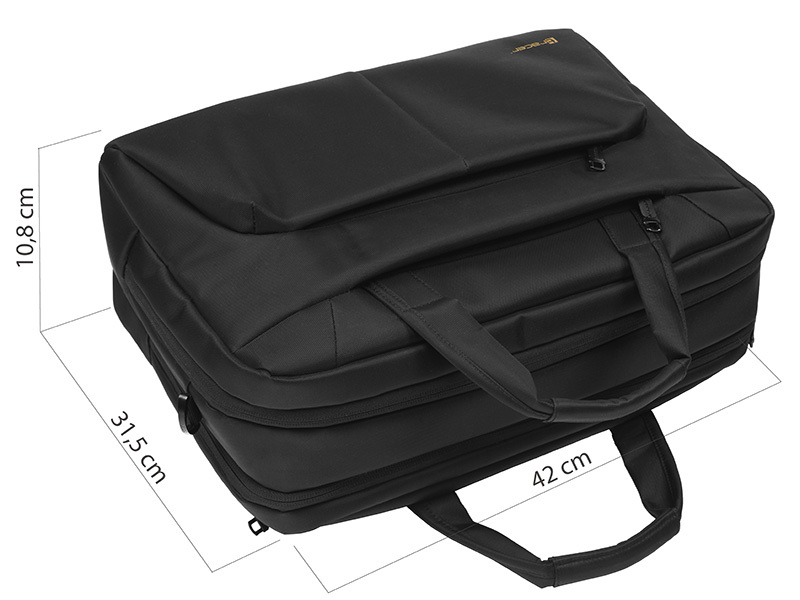 In addition, its super large capacity and flexible carrying options make the bag also suitable for traveler, college student(back to school), etc. Modern notebook backpack in the gaming style. Lightweight and functional design, two-way zippers, comfortable shoulder strap and extra pockets (pens, cell phone, notebook, keys). Plenty of pockets to organize whatever you need to carry. Sturdy rugged handle with steel cable on the top for carrying Main compartment with unique top dual zippper access, has a built-in laptop sleeve padded with soft thick foam and elastic velcro strap closure holding most laptops with screens up to 17.3 inch, and huge roomy at middle for big items,such as books,clothes etc. Besides, a very big mesh pocket is designed here. All of this will satisfy even the most demanding users. Lightweight, durable and water-resistant 1680D ballistic nylon construction anti-scratch helps keep precious cargo safe and dry.Sturdy adjustable shoulder strap. Airflow back system multi-panel airflow design provides extra padding for comfort and Maximum Back Support. Attractive Notebook in a classic elegant design. 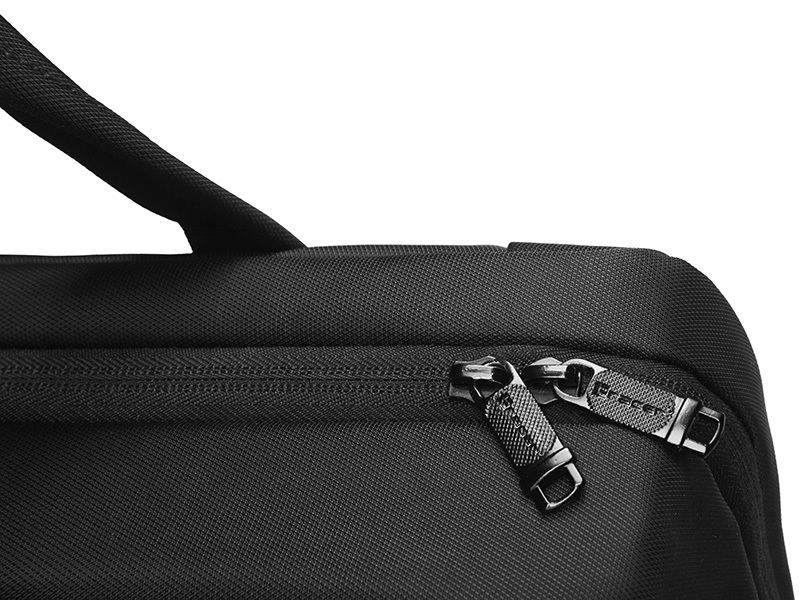 Lightweight and functional design, the security thread location of your computer, reinforced sidewalls, two-way zippers, comfortable shoulder strap and extra pockets (pens, cell phone, notebook, keys) - all that will satisfy even the most demanding users. 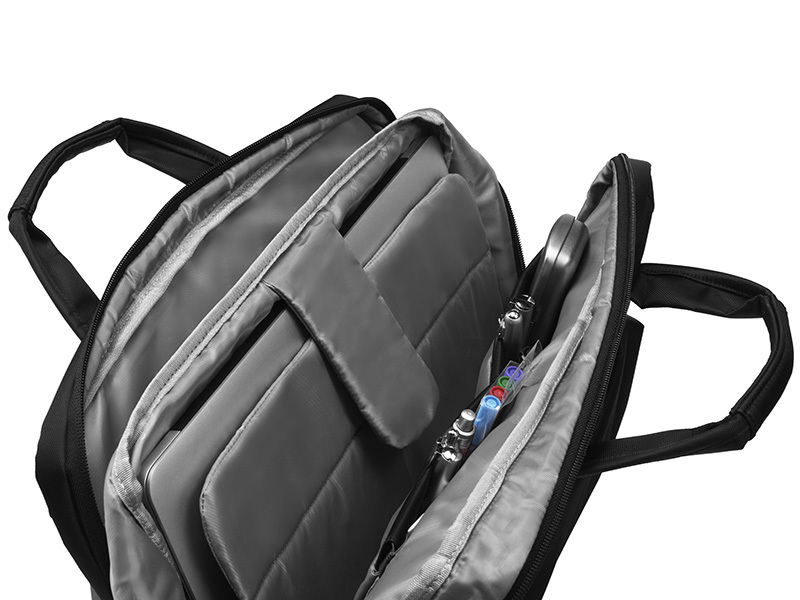 Supplied mouse Tracer Blaster X.
Tracer Simplo notebook bag is perfect for you. Its main features is the classic shape and competitive price. 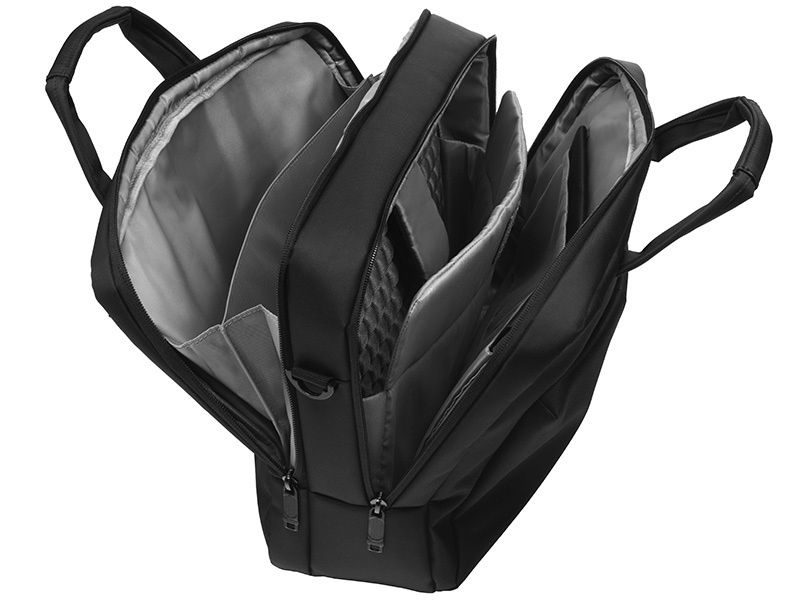 Lightweight and functional design, separate compartment for notebook strap securing the computer with reinforced sidewalls, the front outer pocket with velcro, two-way zippers, convenient shoulder strap and extra pockets for trinkets (pens, business cards, phone) - all with to satisfy the needs of every user.